For Wedding Catering in Lake Tahoe: Blend. Done. We love our job for a lot of reasons. One of the obvious reasons is because we love inspired, delicious food. Another big reason is wedding season. 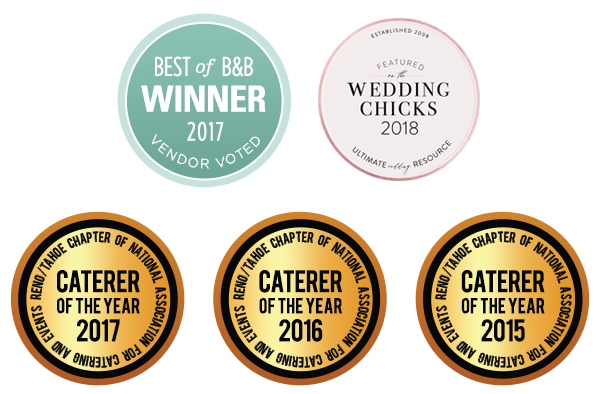 We love feeling inspired by the event and challenging ourselves to be creative with every menu–ensuring to make our clients’ dreams come true and elevating what all they think catering can be. For the 2016 wedding season, we have one FIRST piece of advice: BOOK NOW. Already this winter and early spring we’ve been filling our books quickly, especially on hot wedding dates (Fridays and Saturdays June through September). Get in touch with us to see if we have your date open and let’s start the conversation about all you’re dreaming your wedding to be. 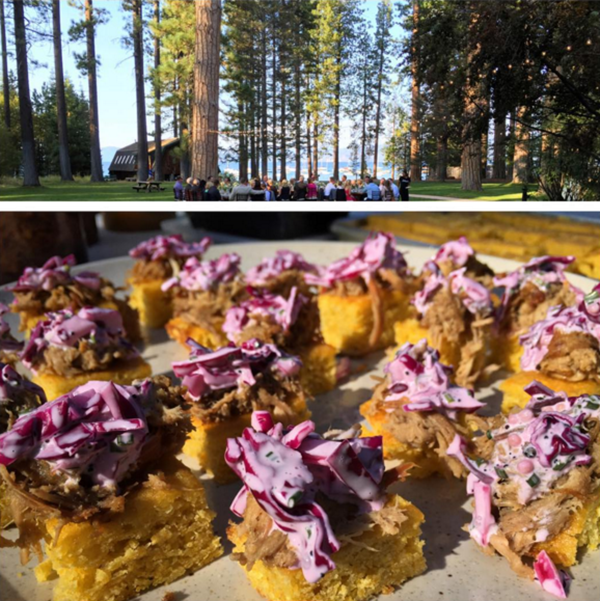 For more on hiring Blend for wedding catering in Lake Tahoe, check this out: Booking a Wedding Caterer 2016. Get some ideas with these sample wedding menus. Reminder: these our only samples. Our Specialty is Variety.